Can you remember where you were when it was announced exactly a year ago that iconic vocalist, Whitney Houston, had passed away? I can tell you exactly where I was. Now what happened after that moment is pretty much a blur for me. I remember turning on CNN and watching as Don Lemon’s face pretty much reflected how I was feeling on the inside. How could this be possible? She was doing so much better. Not since the passing of Michael Jackson, have a cried over a celebrity death the way I cried over Whitney Houston. Whitney was more than a singer to me; she was family. She was like that auntie you have that you love being around because you know she’s going to say something crazy to make you laugh. She shall remain my all-time favorite singer. I will Always Love and Miss You, Ms. Houston! 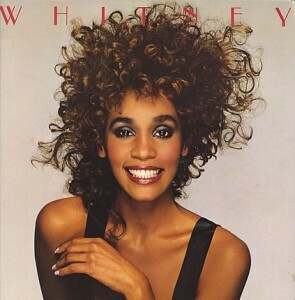 I think of Whitney and her death quite often. With MJ, I really do not think about his death. I just continue to enjoy his music. With Whitney, I would actually get sad hearing her music especially her later recordings probably because of the noticeable change in her voice. For a stint of time, I kept hearing I Look to You and I would just get sad. Hearing Beyonce at the inauguration made me think that instead of the SuperBowl, Whitney's national anthem moment should have been one of President Obama's inaugurations. Well can't change what has happened. The good news is that her music with her strong vocals lives forever!